Okay, we have embraced the ugly Christmas sweater and we have started wearing leggings as pants (neither trend will be endorsed here) but guys have joined us this holiday season with beard trimming. No, we do not mean neating it up we actually mean akin to “trimming” a tree. 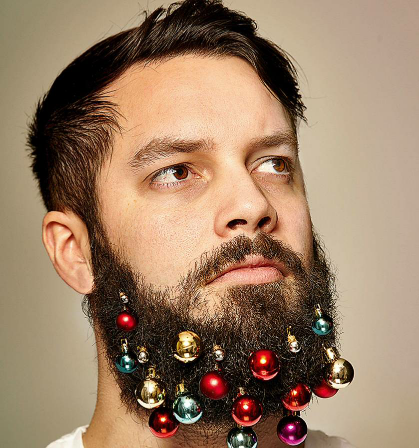 Yep, adding ornaments to your facial hair. A trend stranger than ugly sweater contests and white elephants at parties (is that how it goes). Post a comment below and let us know what you think about this trend.